Toshiba AC100 Still Broken – 3 Months After Launch. About 3 months ago I bought a Toshiba AC100 ‘smart’ book for testing. While I didn’t believe it would provide me with a netbook experience I was very interested in continuing my testing with ‘always on’ ARM-based devices. Unfortunately, that ‘always on’ experience highlighted in marketing and videos, has still not been delivered 3 months later. It’s time Toshiba actually stood up, removed the false claims, started apologizing to customers and fixing this broken device. More importantly, potential owners need to keep fingers off until we can confirm the problem is fixed. We highlighted the standby battery life problem just a few days after we got the AC100 and a few weeks later delivered the message direct to Toshiba at IFA. The product simply doesn’t provide anywhere near the claimed ‘up to 8 days’ of standby battery life. You’ll be lucky if the AC100 still has a charge 24 hours later. Many many users have confirmed the same issue. A promised upgrade to Froyo was the light at the end of the tunnel that most owners clung on to but that is now many weeks overdue with no official word about a timescale. In fact, a surprise firmware update last week that failed to install was followed by another firmware update that doesn’t seem to have fixed the problem or updated the device to Froyo. Do you trust them to deliver 2.2 AND fix the battery life problem? In attempts to actually get something useful out of the AC100 I hacked the bootloader (yes, forgoing any rights to a return or repair under guarantee) to install Ubuntu and after trying the update a few days ago, I now have a bricked device. I’m sure others will fall into this trap. I’m not going to address this email to Toshiba because their forum should be alerting them to their problems (link) instead, I’m addressing it to current and potential owners. The AC100 is still broken and I advise you to check your standby battery life and if you think I’m right, return the device. [If not, please let us know – we’d love to strikethrough and update this article.] Potential owners should refrain from a purchase until there are clear confirmations that the problems have been fixed. Better still, pass the message on and highlight that the AC100 is not yet the device with the ‘ultimate battery life’. For the last two nights I’ve been testing the ‘standby’ battery life on the Toshiba AC100. [Unboxing and overview video here] On the first test the battery was at about 30% capacity. I closed the lid and expected to have plenty of battery life left in the morning. When I woke up, the AC100 was dead. On the second test the battery was again at 30%. This time I turned the WiFi off before closing the lid. In that scenario I’d expect next to no drain at all. Again, when I woke up 7 hours later, the device was dead. Something’s wrong. Looking at the battery information I’m seeing something strange. Can you spot the issue on my WiFi-only AC100? Yup, somehow the 3G subsystem is draining power which is really quite strange considering I don’t have 3G on this device. Have they left the 3G radio on the device and just removed the SIM slot? Have they forgotten to turn the 3G off in the firmware? Does ‘cell standby’ actually mean something else? I can’t imagine another subsystem in the AC100 that would take more power than the screen and Wifi. On my Android phone here, cell standby is taking only 9% of the power. When the firmware contains strings like ‘eng/test-keys’, commonly found on test builds, you’ve got to wonder what’s going on. 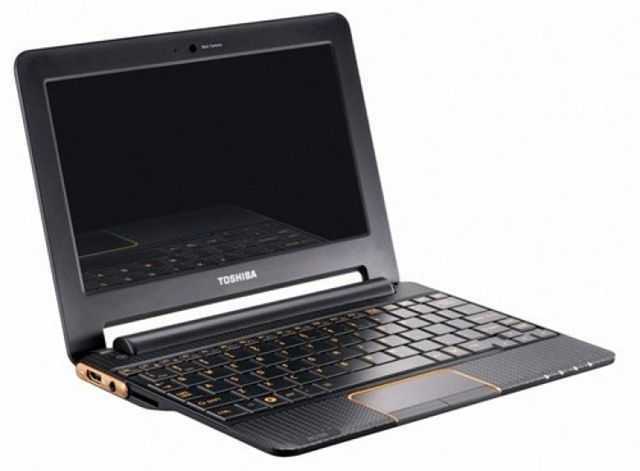 I’ll have to raise a support issue on this with Toshiba Europe. Note: 12mins later, the graph was still the same. Cell Standby is taking 77% of the battery drain. Going to ‘airplane mode’ doesn’t appear to help. Note: 30 mins later and ‘cell standby’ is up to 81%. Update: Just to be clear – active battery life is around the 6hrs mark (50% screen, wifi on) so there’s no problem with that. I’ve also found a lot of threads on forums that question the ‘cell standby’ measurement. One response says it’s a known issue in Android 2.1. Currently manually measuring screen-off drain. In a third test last night I went to bed with about 60% drain. I woke up with 20% left – and the screen on. Something is turning the screen on and causing the drain. Have now done a factory reset to remove any of my sideloaded apps that may be turning the screen on. I’ll do another overnight test tonight. Update: 1535 – 31 August. With a fresh factory reset I’ve been testing the battery life over the last few hours. With screen off, wifi on, idle, no usb subsystem, no sdcard i’m seeing 6 mins per 1% battery drain. That’s really not that good. â€“ 2.4W average drain. I’m expecting more like 1W. With screen off, AIRPLANE MODE, no USB subsystem, no sdcard, idle, I’m seeing 13 mins per 1% battery drain. That’s 1.14W drain which is terrible for an ARM system. A smartphone with screen off and airplane mode would take about 20-50mw. Remember, the AC100 is effectively has smartphone internals so when you turn the screen off, there should be no difference (i’ve turned the USB host subsystem off and removed the SDcard to remove that from the equation.) Something is sapping over 90% of the battery â€“ which brings us back to the cell subsystem which, after these tests, was taking 84% of the power according to ‘battery status’ under Android. At this stage, i’m tempted to pull it apart. Will I find a surprise 3G module inside? I won’t be doing any more review work on the AC100 until I get to the bottom of this power issue because it’s a huge problem that takes away the main reason to have it in the first place. ARM-based devices do a good job at ‘always on’. Take the Archos 5 for example. It’s a Cortex-based Android device and just 30 minutes ago I checked some stats on it. It’s been sitting on my desk in a screen-off, wifi-off state for 4 days and 8 hours and get this, it has a battery that’s less than half the size of the battery in the AC100. Not only that, there’s 45% of the battery left. That’s under 50mw of drain. 20x less than the AC100. There’s the problem with the AC100! Toshiba Germany tell us that Froyo will be delivered in 6 weeks (Mid October) for the AC100. We have also reported the details of the above issue directly to the German product manager.